If Neuschwanstein Castle looks familiar, it’s because you’ve seen it at Disneyland. The inspiration for Sleeping Beauty’s palace was the obsession of a 19th century king whose untimely death is still debated today. 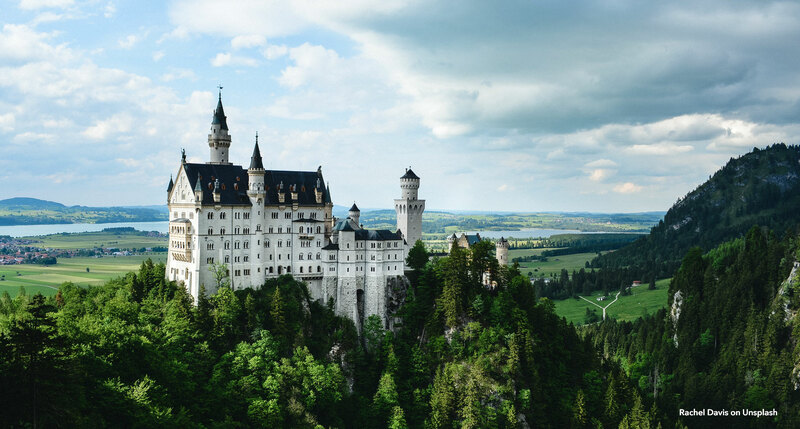 If you peer down at the story of Neuschwanstein Castle from a certain angle, its creator, Ludwig II, appears less like a true king and more like a Disney character himself. In 1865, only a year into his reign as King of Bavaria, the 20-year-old’s obsession with the theatre had already begun to stir gossip. He skipped army maneuvers, called in sick to royal events, and forced his ministers to find him during intermission “at the door of his box,” just for a chance to confer. In the life of King Ludwig, as for any good Disney royal, the mechanics of empire were less important than the soundtrack and the sets. 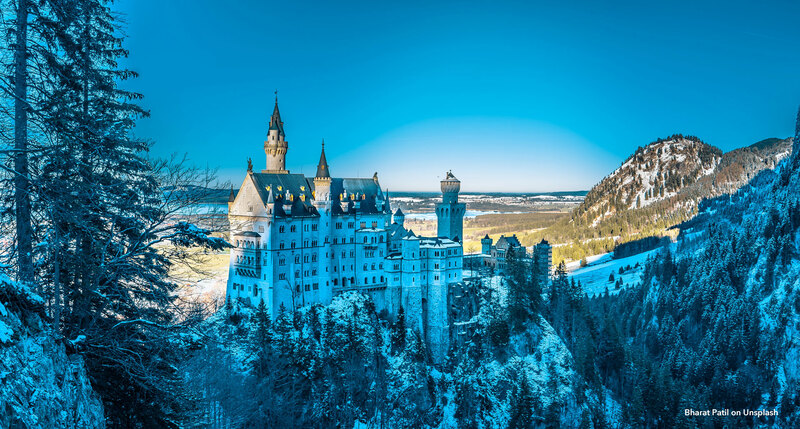 And if you think about why families stream into Disneyland, and why over a million tourists visit Neuschwanstein today, it’s the same reason Ludwig built his castles in the first place. He needed an outlet for his imagination. When Ludwig first sent for Richard Wagner, the composer thought the summons was a trick by his creditors. He was exactly wrong. Ludwig would pay the composer’s debts in full and go on to become his work’s most important patron, providing him with an allowance, sponsoring his operas, and helping to build the Bayreuth theatre that still performs his work today. It’s here we should mention that, by all accounts, Ludwig did not share Wagner’s rampant anti-Semitism. Eventually, feeling cornered by politicians wary of Wagner’s influence over him, Ludwig banished the composer from Bavaria. Still, he never cut him off. The two would continue to communicate, and Ludwig would never stop sending an allowance. In turn, Wagner’s works would inspire the monument that most represents his legacy today. 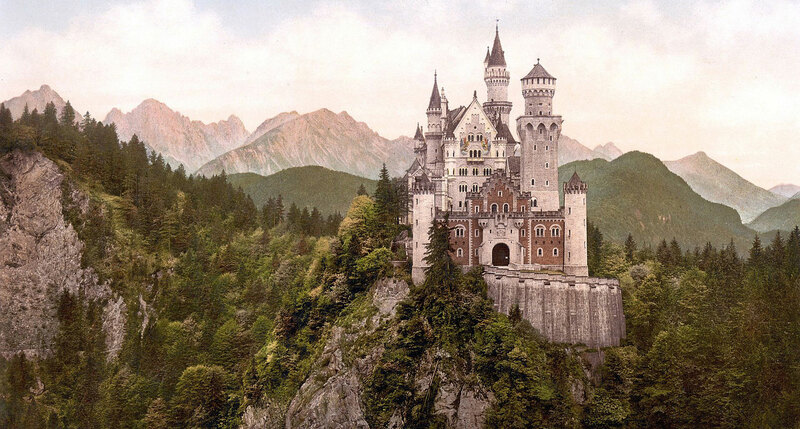 Striving to match the theatrical vision of medieval Germany portrayed in Wagner’s operas, Ludwig used a stage designer to help formulate Neuschwanstein’s design — an irresistibly juicy clue as to how much of Ludwig’s construction was about bringing fantasy to life. 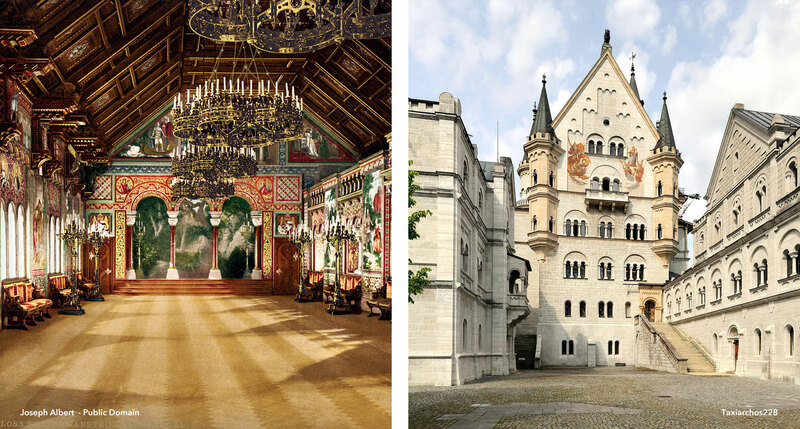 And poetic Neuschwanstein Castle is, its interiors decorated with images of the medieval knights and poets that formed the basis for Wagner’s operas. 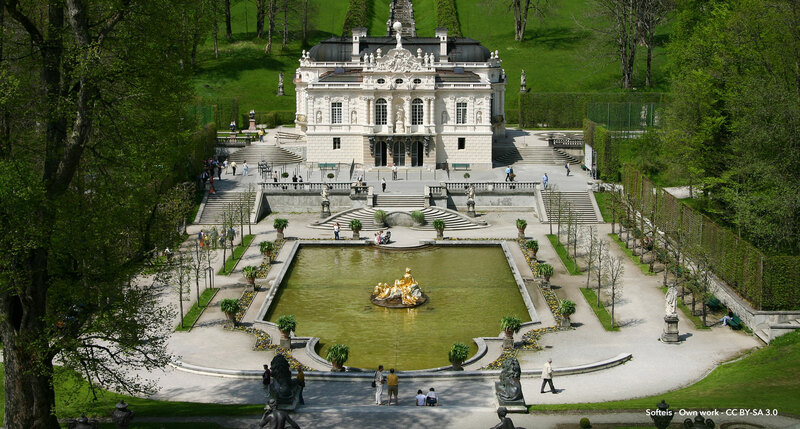 Ludwig’s other castles, Linderhof and Herrenchiemsee, were similarly inspired by the grandeur of ages past, but strove to imitate Versailles and one of Ludwig’s other heroes, Louis XIV. Linderhof ended up a more humble palace than originally planned, although you wouldn’t know it from the abundance of gold leaf and crystal. 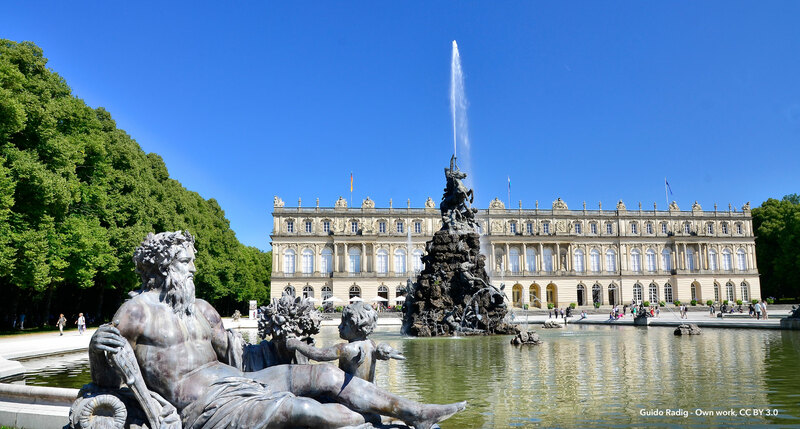 Herrenchiemsee, on the other hand, set on an island on Bavaria’s largest lake, better realized the replication of Versailles with its signature Hall of Mirrors reaching even greater length than the original. If you’re wondering just how Ludwig paid for these flights of fantasy, you’re in good company. The crown’s debt would cause a major political crises. Before he could finish Linderhof or Herrenchiemsee, the government seized on the king’s supposed “madness” as an excuse to depose him and take him into custody at Neuschwanstein. As the story goes, not long after his confinement, Ludwig and his doctor — the very man who declared the deposition-inducing diagnoses — went for a walk around the grounds. 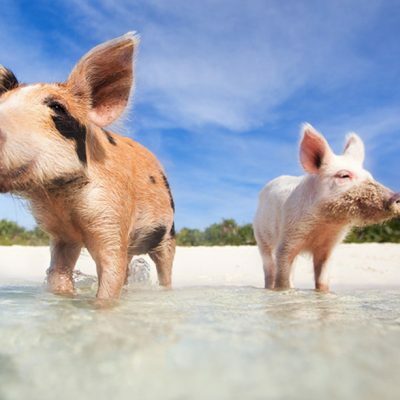 They were both found dead in the shallows of a lake. Even today, skeptics doubt that the king simply drowned, agitating for the exhumation of his corpse and positing theories about the true circumstances of his death. Was it really a suicide, or an escape attempt gone wrong? Was it an assassination? A cover-up by the Prussian government? We’ll never know for sure what happened, only that in his eagerness to escape the realities of the world, Ludwig built three persisting monuments to his imagination. Despite his dark end, three fitting epitaphs for the king who inspired Disneyland. Interested in learning more? Check out Christopher McIntosh’s Swan King: Ludwig II of Bavaria, from which much of this article was sourced. It’s not just the luxury, but that almost by definition a castle is a place characterized by its ample history, overflowing character, and distinguished design. 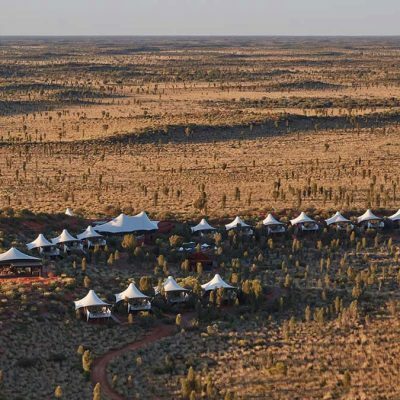 Most of these royal accommodations will station you in the castle itself, a centuries-old foundation with the technological updates we expect from our modern luxury hotels. Others will set you on the surrounding estate, whether it’s in a smartly appointed farmhouse or — in one unforgettable example — the one-time home of the royal canines. 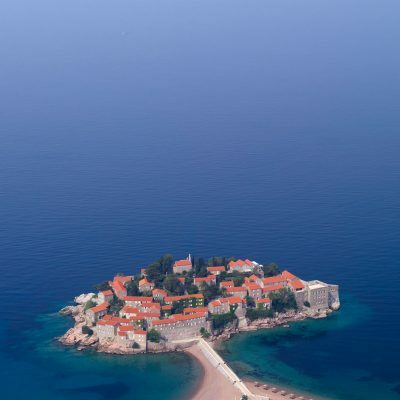 But let’s be honest: some of these castles date back to the 12th century, which means that in every case, you’re living better than the original inhabitants. 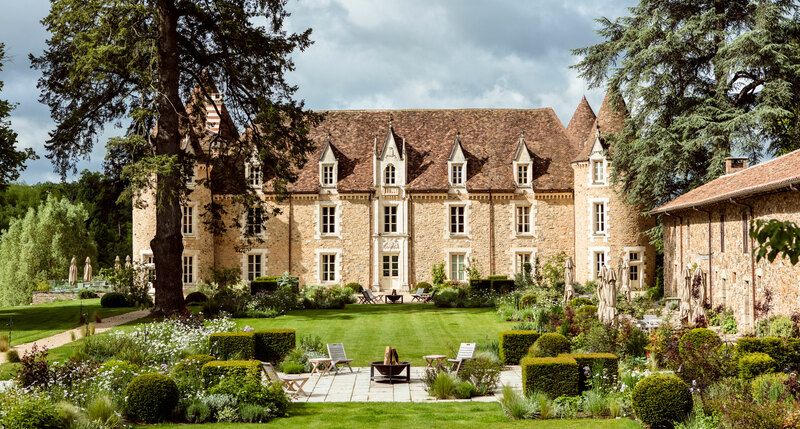 While the storybook stone chateau is the picture of medieval fantasy, the rooms at Domaine des Etangs are actually scattered about the estate in separate farmhouse buildings. The result is a kind of lovely countryside sprawl, with open space dotted by a pool, a tennis court, and a rowboat-peppered lake. And this being Bordeaux, the restaurant is a particular delight. 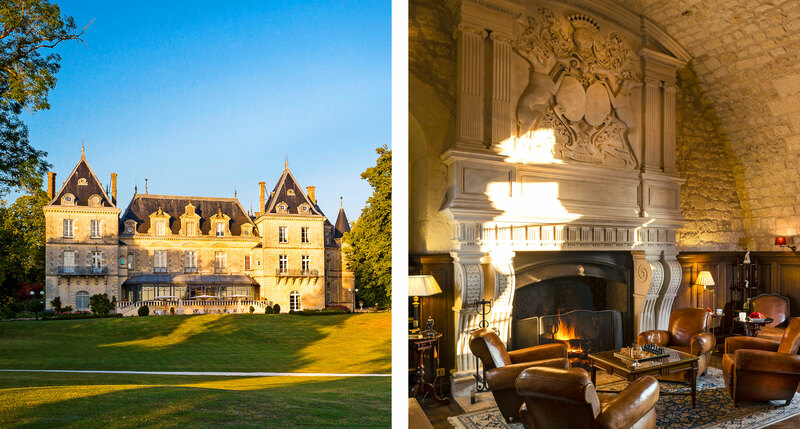 The castle here inspired Beauty and the Beast, while the accommodations at Relais de Chambord actually occupy a 17th-century home once devoted to the king’s hunting dogs. A thorough renovation gave way to an extraordinarily luxurious small luxury hotel, steeped in history but refreshingly contemporary in style. Rooms look out at the castle, and so does the restaurant, while the rest of the picturesque grounds give you the chance for ample exploration, whether by bike, horseback, or rowboat. 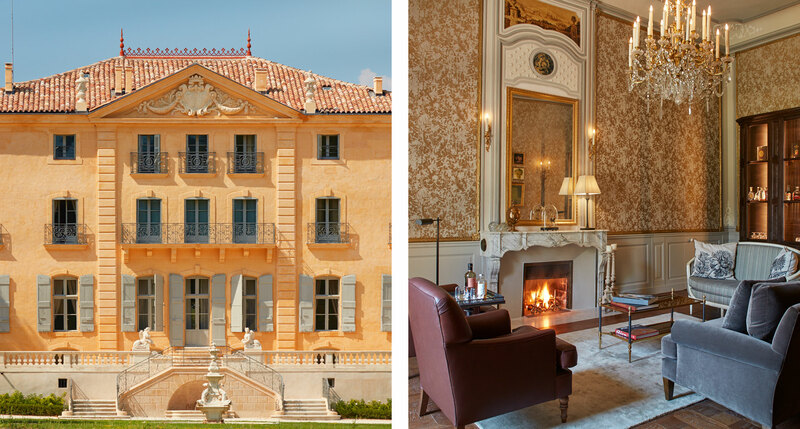 A castle dating back to the 1700s, Chateau de Fonscolombe made its hotel debut only in 2017, after three centuries as a private estate. One of the most luxurious for miles, and smack in the middle of the wine country, it’s got 13 of 50 rooms set in the old castle building. In a charming example of history updated to luxury, the full-service spa occupies the old stables. 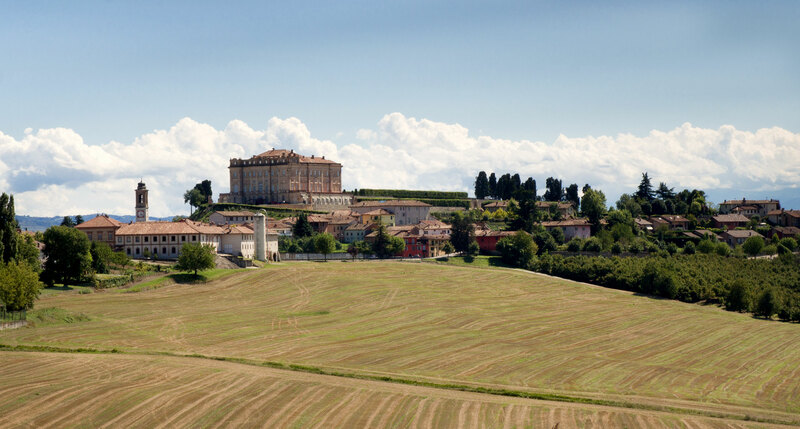 An opulent 18th-century palace, Castello di Guarene remains true to its original vision — there’s nothing the least bit stark, spare, or minimalist about it. The most luxurious suites span 200 square meters, but even the comparatively modest options offer views of the castle’s extravagant gardens, along with either the Piedmontese hills or the distant Alps. Not to mention the wine cellar, which contains an encyclopedic collection of rare vintages from Piedmont and beyond. 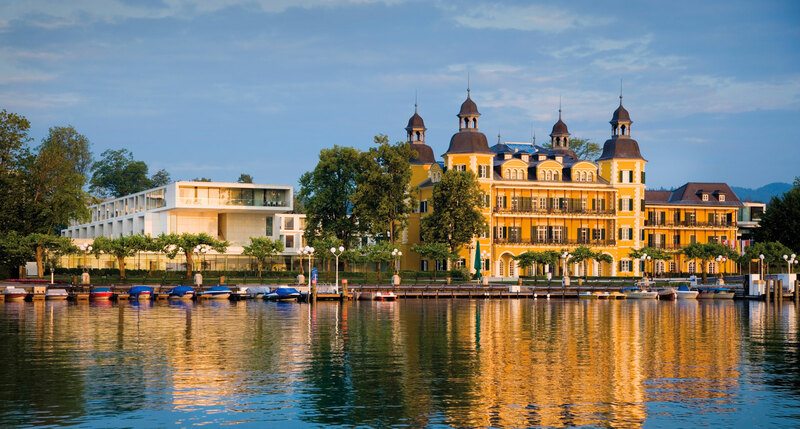 Along a placid Alpine lake in southern Austria sits Schloss Velden, founded in 1603 but continuously updated. As modern a resort hotel as you’ll find anywhere, some period architectural details do remain, while the new addition in the back wraps around a courtyard and frames the old castle in the distance. 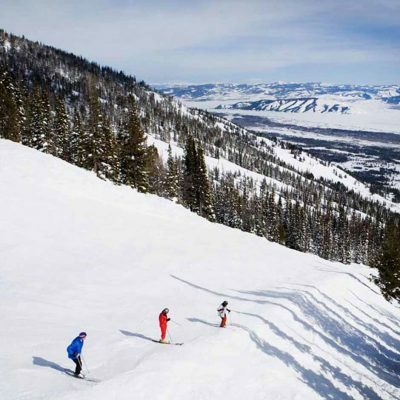 Meanwhile, saunas and massages barely scratch the surface as to what’s on offer in the spa, where you’ll also find an indoor golf simulator, a sleep clinic, and one of the world’s first indoor snow rooms. Despite numerous renovations since its construction in the 14th century, Kaseel TerWorm is the true, historical castle experience. Case in point: the moat. 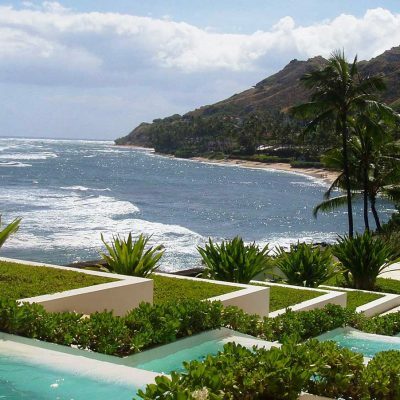 Yes, there really is a moat. There’s even lodging in the castle’s tower, surrounded by exposed brick, wooden beams, and centuries of history. Even with all that, the restaurant — with its seasonal menu, à la carte or six courses with wine pairings — might be the real draw. 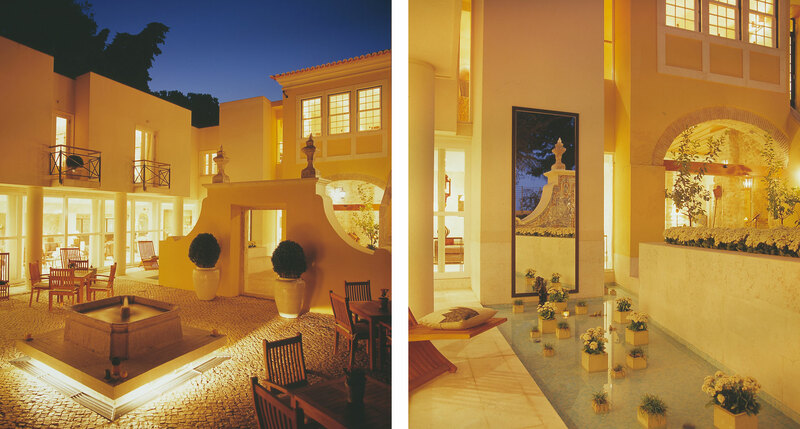 Named for St George’s Castle, Solar do Castelo itself occupies an 18th-century mansion, built on the site of the old castle’s kitchens. Medieval elements and contemporary hotel interiors merge here into a smart, charming 14-room hotel surrounding the gorgeous inner courtyard and gardens. 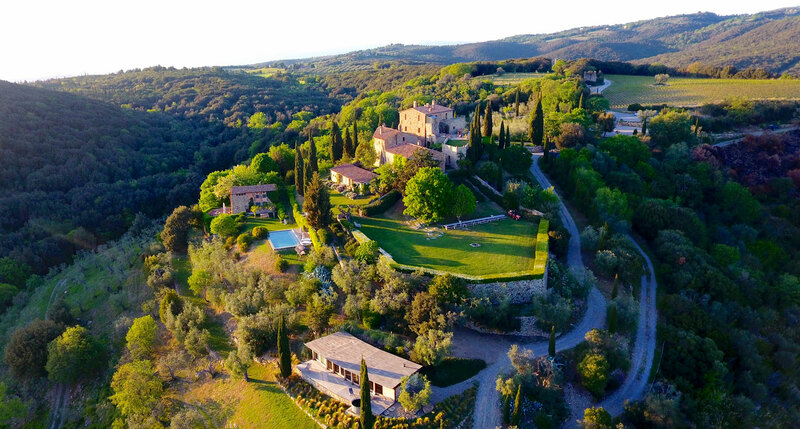 On a thousand-year-old aristocratic estate, years of meticulous restoration have yielded a tribute to timeless, classic Italian country living, only enhanced by the addition of modern comforts like marble baths and the typical electronics. Suites mostly stick to the stylistic parameters of the old castle, while nine stand out for their aesthetic commitment to modern design. Either way, this is a Tuscan hospitality experience of the highest standard. 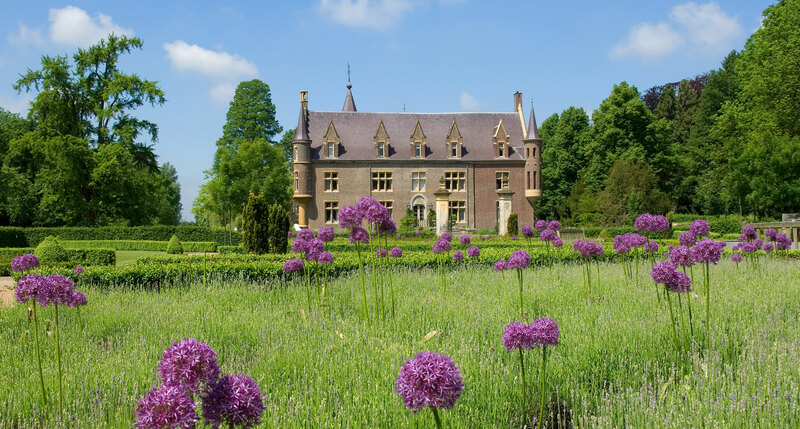 A fairytale vision of the Renaissance-style castle, half dates from the 17th century and the rest to the 12th, drawing no small appeal from its place in the French countryside. 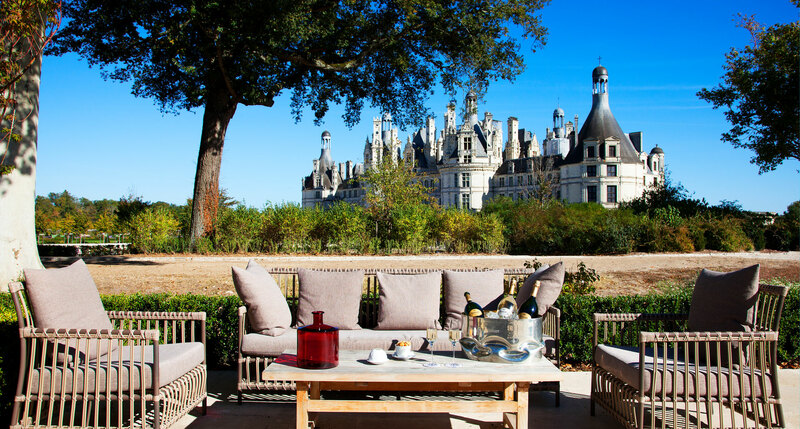 In addition to the forty luxurious guest rooms and all the niceties (spa, two tennis courts, swimming pool, et cetera) the Chateau offers wine tastings incorporating vintages from all the surrounding areas, some bottles well over a century old. 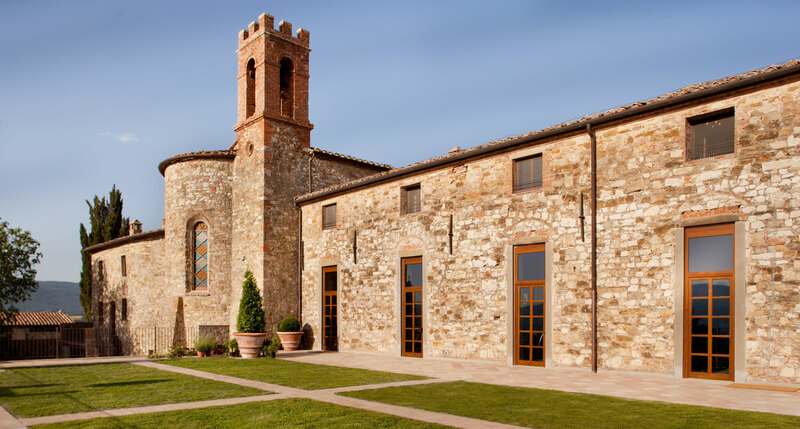 On a hilltop surrounded by the exact rolling hills you picture when you think of Tuscany, Castello di Vicarello is an authentic 12th-century castle that eschews design-magazine flash, opting instead for a smattering of Indonesian antiques set against the backdrop of the castle’s old stone walls.